If we are searching for anything in this world, we’re searching for stability and solidity in an age characterized by constant change, uncertain futures and outlook-altering tumult. For over a decade, Subway’s promotion offering one of their footlong sub sandwiches for five dollars has been an anchor in the waves. No longer. The sandwich chain announced Monday it would end the promotion nationwide. 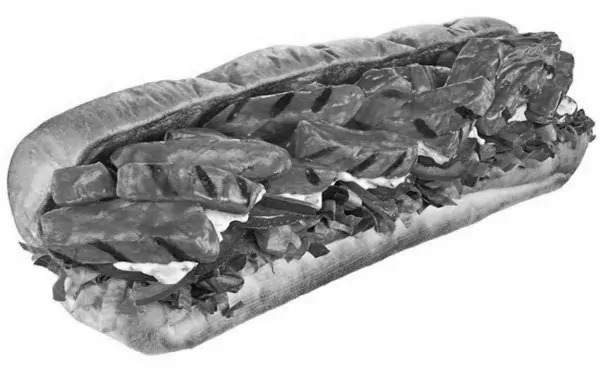 Local Subways can still decide if they want to offer 12 inches of bread, meat and cheese for a single Abe Lincoln, but there will no longer be a mandate from the sandwich lords that the chains have to make the offering. As the decision is made store by store, the nation is left wondering: In a world without consistent fast-casual sandwich prices, what can be leaned upon for stability? The $5 Footlong deal began nationwide in March 2008. It was a smashing success, with Subway extending the deal from the initial four weeks to seven before narrowing the sandwich options and keeping it going until this week. The $5 mark became a magic number for fast food. Taco Bell released its $5 Big Box. KFC offered a $5 combo. Even Boston Market gave into the trend. But the world has changed. Maybe we wised up to the real nutrition factors of the Subway bread and the lunch meats. Maybe the post-recession economy raised our standards of what we want out of a fast-casual sandwich. Maybe Jimmy John’s or Firehouse Subs just does the thing better. Whether it’s our preference for delivery or our preference for burrito bowls, Subway has struggled, and the $5 Footlong in recent years was not the titan we once knew during the Obama administration. Goodbye, $5 Footlong. We’ll miss you so much. Lunch won’t be the same without you, babe.